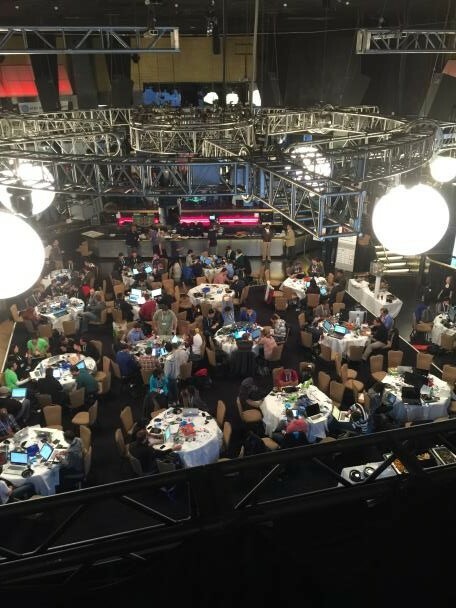 January 3rd and 4th, ALCATEL ONETOUCH, and PRIME participated in the AT&T hackathon in Las Vegas. ALCATEL ONETOUCH sponsored the Education Innovation Challenge. I was amazed by the solutions created by teams in only 2 days. Congratulations to all the participants and especially to Edu-K who won the ALCATEL ONETOUCH challenge. Developers, designers, students, and entrepreneurs interested in the latest technology joined forces to create the most innovative mobile applications. Different teams had the possibilities to choose challenges such as the AT&T Women in Tech, AT&T Drive Connected Car or AT&T WebRTC Challenge. In order to foster the innovation and bridge the technology gap in education, Alcatel ONETOUCH sponsored the Education Innovation Challenge and rewarded the best application with a $10,000 prize. As coach, I had the chance to observe how these teams came out with innovative solutions in that area using technologies such as WebRTC, connected objects and Augmented Reality. After a tough evaluation, ALCATEL ONETOUCH chose Edu-k. The judges estimated the idea innovative and actionable. They believed this solution will become soon a great tool used by future students. The application focused on the interaction with the students using real time sharing documents and gamification to engage students. Joseph Su, teacher at Pasadena City College, and Elsa Hsieli, Financial analyst want now to go further, and enrich the prototype. Joseph will have the opportunity to test the application with his students. On behalf of ALCATEL ONETOUCH and PRIME, we wanted to thank all the participants of the Educational challenge and of the AT&T Hackathon for their leadership. It is out of an event like this that great ideas are born.